A water course in the National Park of Mali before landscaping. 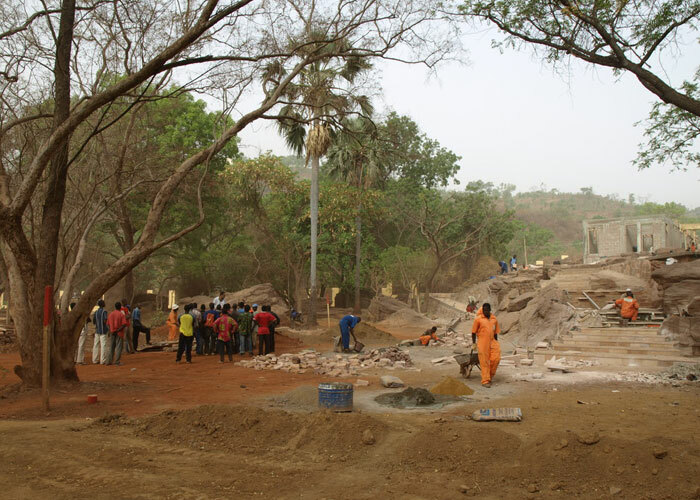 Construction of the foundations of visitor facilities, undertaken by the Aga Khan Trust for Culture, in the new National Park of Mali. 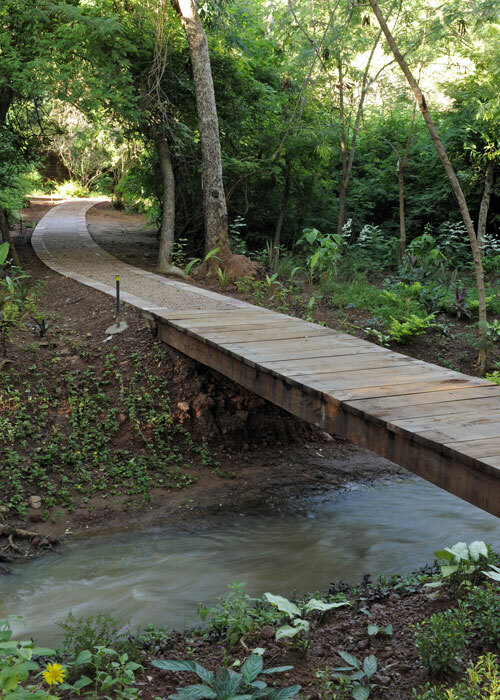 A path in the National Park of Mali before landscaping. 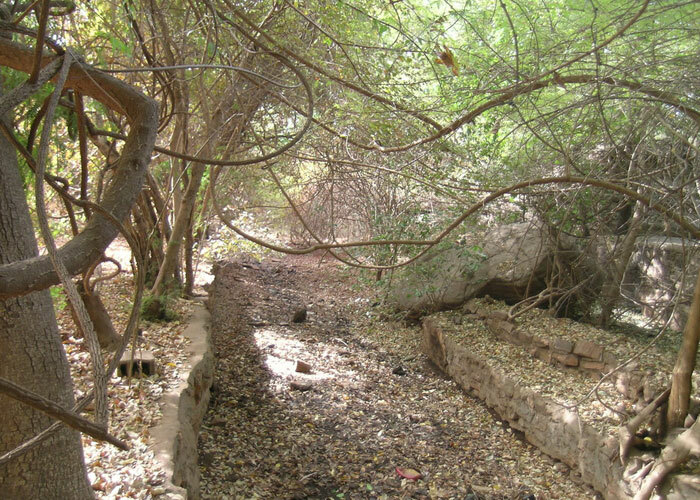 A view of a neglected water course in the National Park of Mali before landscaping by the Aga Khan Trust for Culture. 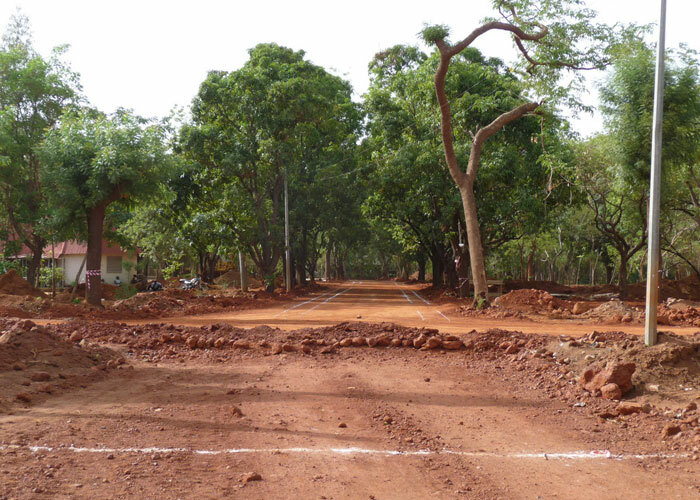 Construction of the visitor pathways in the National Park of Mali. 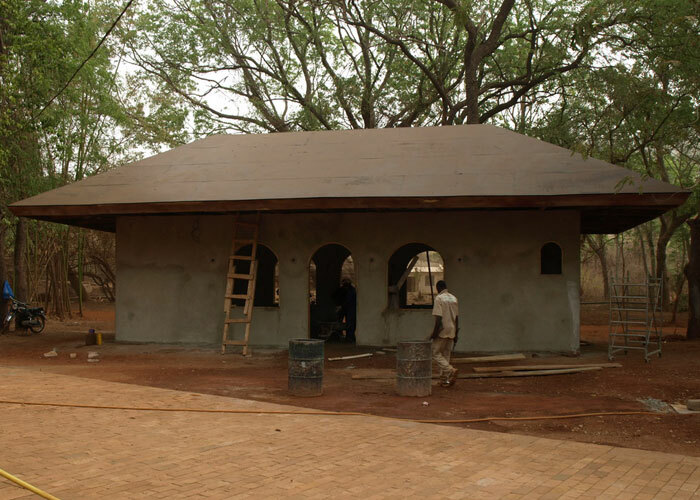 Construction of the tea house in the National Park of Mali, part of an AKTC programme to redevelop existing facilities and provide additional facilties, many of them designed by Diébédo Francis Kéré, and Aga Khan Award recipient in 2004. Construction of the Balasoko restaurant. 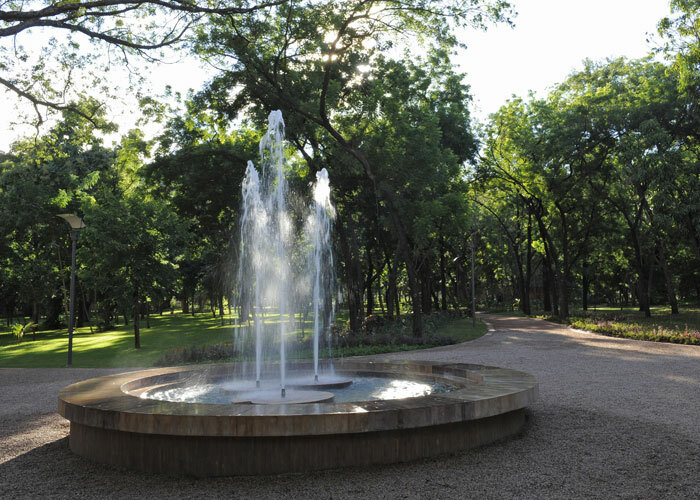 Revenue-generating facilities like the restaurant will help keep the Park from becoming a financial burden on the municipality. The Park is designed to offer large open spaces for leisure and educational activities for the general public, school groups and tourists. 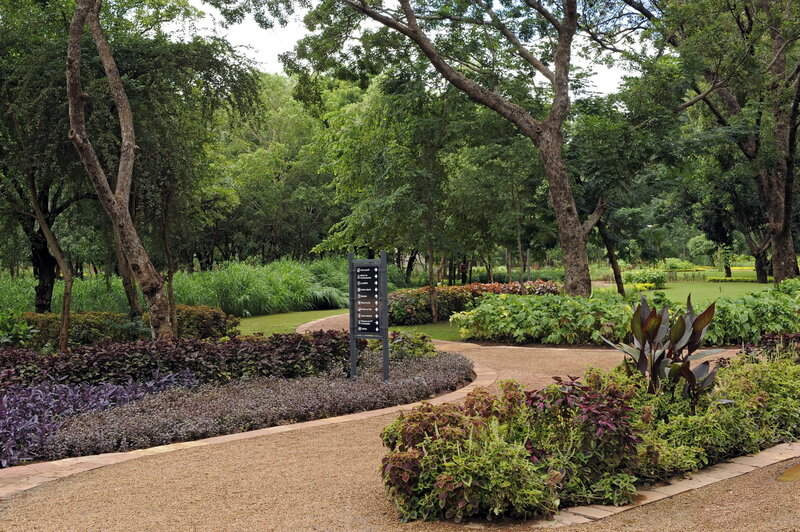 The garden spaces feature indigenous flora in varied settings, from open lawn areas to flower gardens, wooded areas and a medicinal garden. Interpretive educational signs and displays and the development of trained guides are expected to offer new educational experiences for visitors. 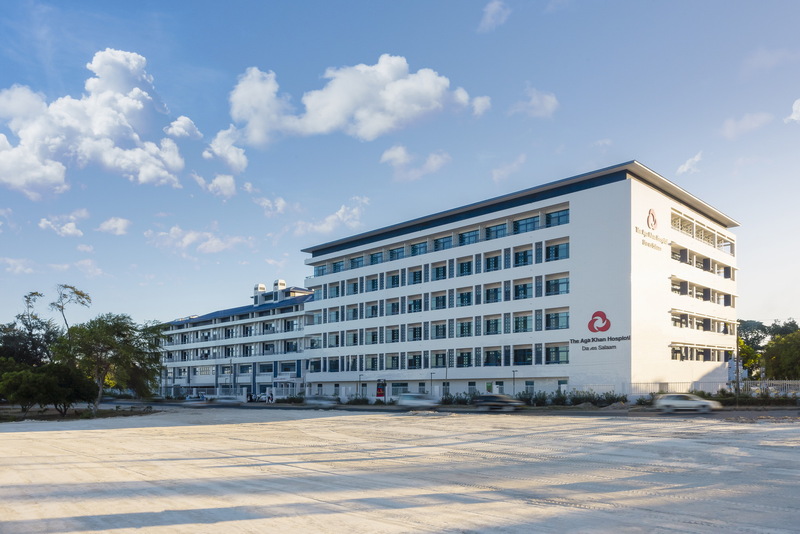 Phase 1 included the rehabilitation of 17 hectares of open spaces and the redevelopment and integration of eight existing facilities. 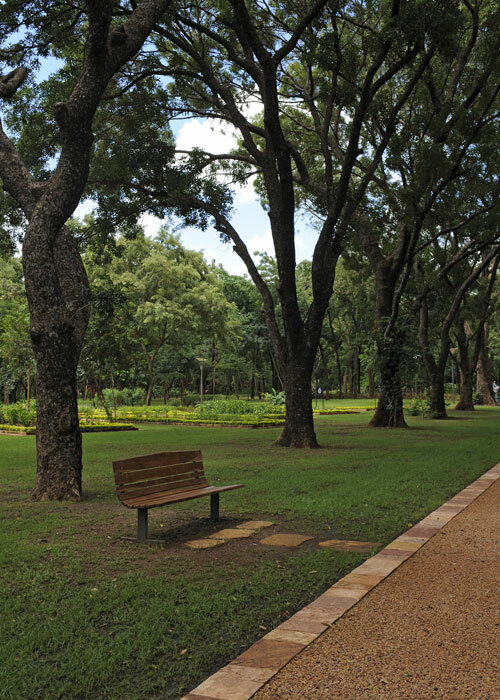 Bringing together the National Museum and the existing Botanical Garden and Zoo into a single cultural/ecological park, the Park features a comprehensive pedestrian circulation network and formal promenades throughout. 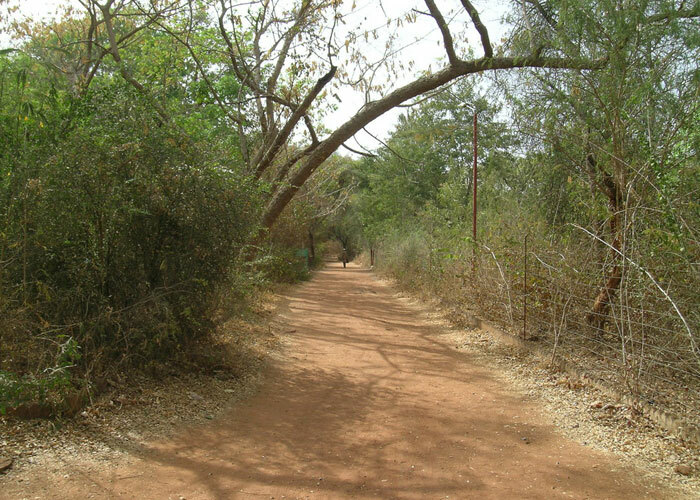 The National Park of Mali contains fitness, jogging, cycling and mountaineering tracks of varying difficulty and diverse interpretive awareness trails for botany, birds and nature. 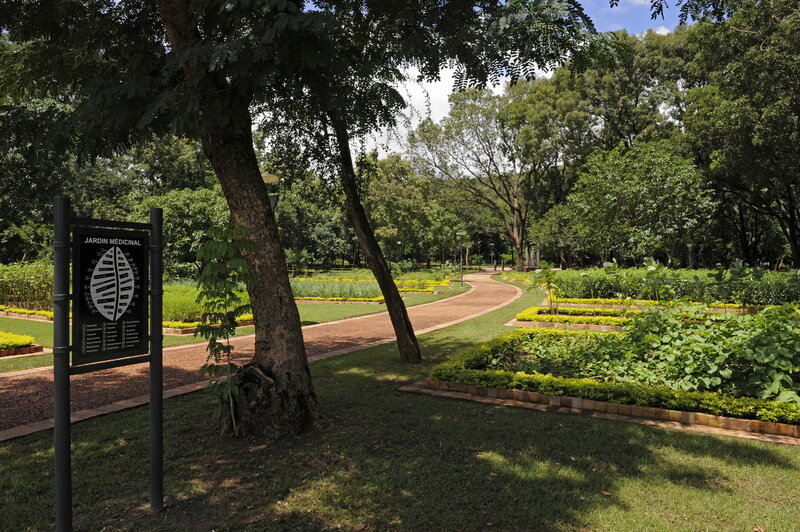 The Park creates a permanent green space in one of the fastest growing cities in Africa. 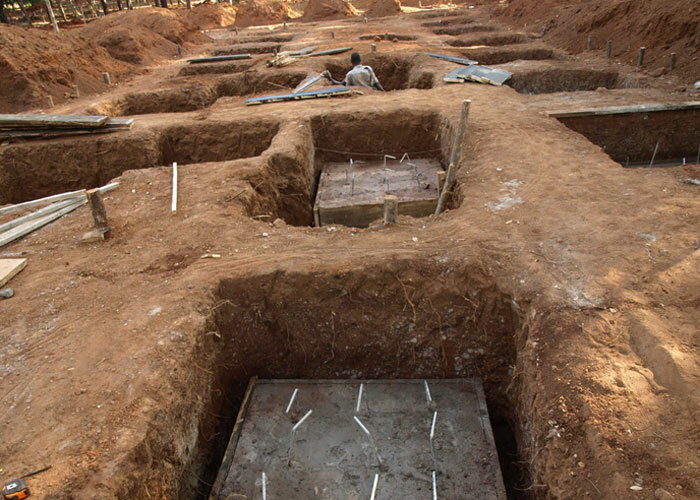 Under the terms of the public-private partnership, the Government asked AKTC to concentrate on the Park’s 103 hectares (250 acres), a large, semi-circular canyon of protected forest that lies beneath the Koulouba plateau, between the National Museum and the Presidential Palace Complex. Bamako, Mali, September 2010 - The population of Bamako, the capital of the Republic of Mali, has risen rapidly in recent years, now numbering over one million inhabitants. Population growth has driven the demand for housing and public facilities. In this context, the need for far-sighted urban planning has been crucial. 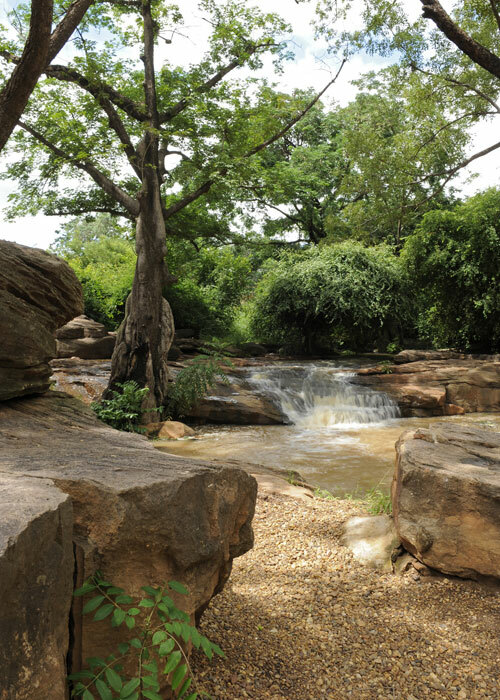 The Government of Mali responded by outlining the boundaries of the National Park of Mali, a space of 103 hectares within a larger protected forest reserve of 2,100 hectares that forms a significant greenbelt in the city of Bamako. 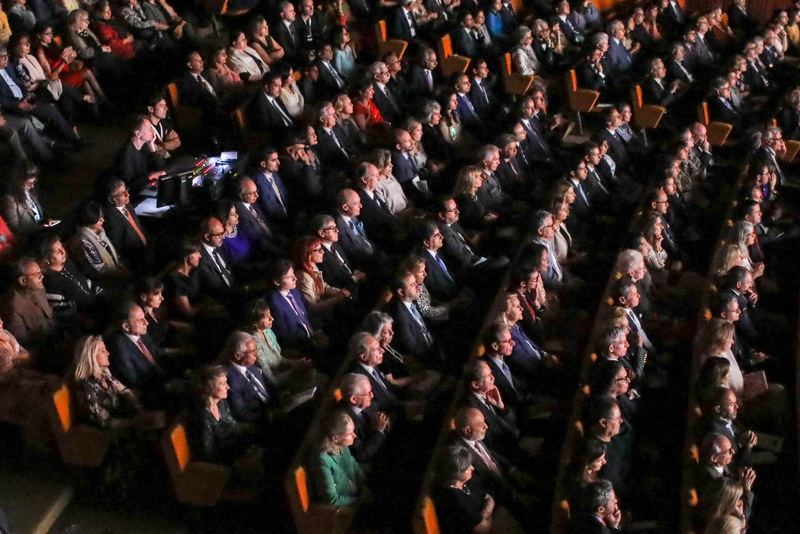 Under the terms of the public-private partnership, the Government asked the Aga Khan Trust for Culture (AKTC) to concentrate on a 103 hectares area that incorporates a large, semi-circular canyon of protected forest that lies beneath the terraced outcrops of the Koulouba plateau, between the National Museum and the Presidential Palace Complex. The slideshow offers a view of the construction of the Park and its completed state.